WARNING: This post contains spoilers for Season 4 of Sherlock and references to episodes in previous series. It’s one of the biggest shows in television and as secretive as its stars are lucrative, so it was a pleasant surprise even to TVO that Katy Wix appeared in the latest episode of BBC One’s crime-caper behemoth Sherlock this past weekend. 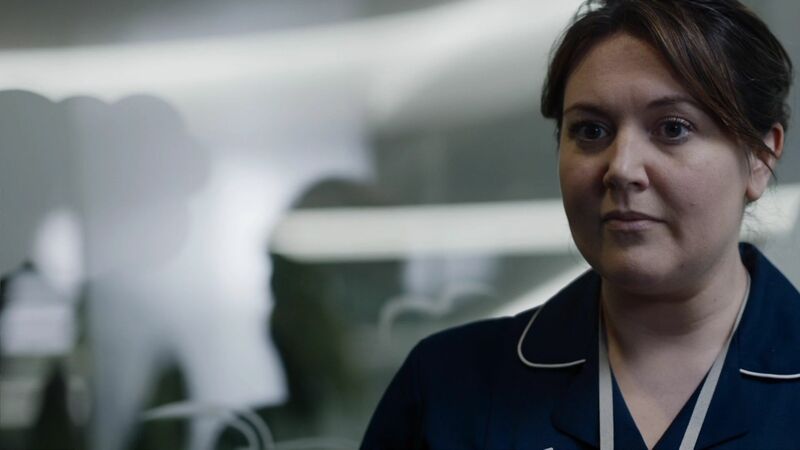 Now that the episode has had a few days to bed in, we can note that eagle-eyed viewers will have spotted Katy as Nurse Cornish, a hospital professional who is unknowingly under the thumb of celebrity sponsor Culverton Smith, played with oozing menace by The Detectorists star Toby Jones. The actress, perhaps best known to mainstream audiences for her role in Not Going Out, is also known internationally for her role in 2009’s mini-series Torchwood: Children of Earth, but to us here at TVO she is of course a character comedian extraordinaire in shows such as Horrible Histories, Fried, The Windsors and of course, Anna & Katy, to name but a few. Katy isn’t the only TVO regular to have appeared in Sherlock over the course of its 12 episodes to date (the 13th airs this coming weekend), so we thought we’d take a moment to revisit the connections between the smash hit series and the green fabric vegetable. The most obvious connections previously began with the Series 2 finale back in 2012, which featured Katherine Parkinson as tabloid reporter Kitty Riley, who became an unwitting pawn in Moriarty’s games. The episode also featured a brief cameo from Tony Way as a prison guard for good measure. 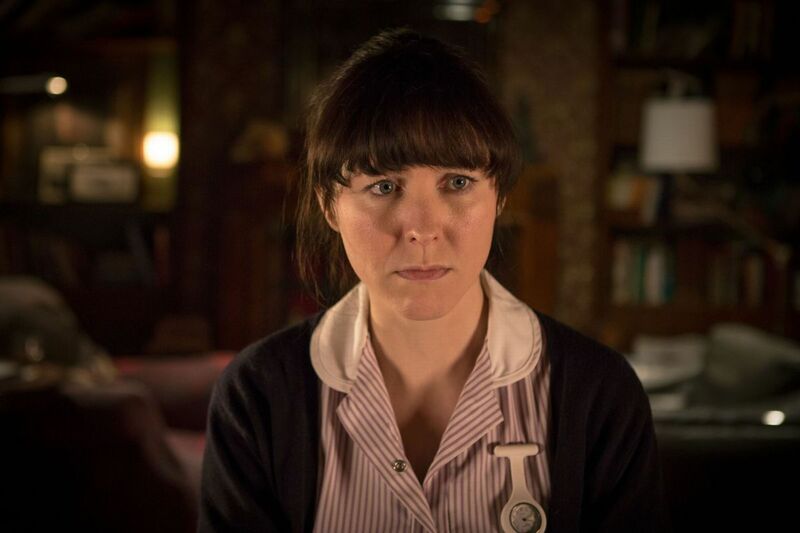 Series 3’s centrepiece, The Sign of Three, featured a memorably sequence in which Alice Lowe played a potential Baker Street client named Tessa, only for a drunk Sherlock and Watson (post-stag-do) to fumble any attempt at figuring out her mystery. That episode also featured former Tittybangbang regular Debbie Chazen and up-and-coming actress Yasmine Akram who has since appeared in Undercover, Count Arthur Strong and Murder in Successville. The show’s regular and recurring cast also have smatterings of TVO connections. 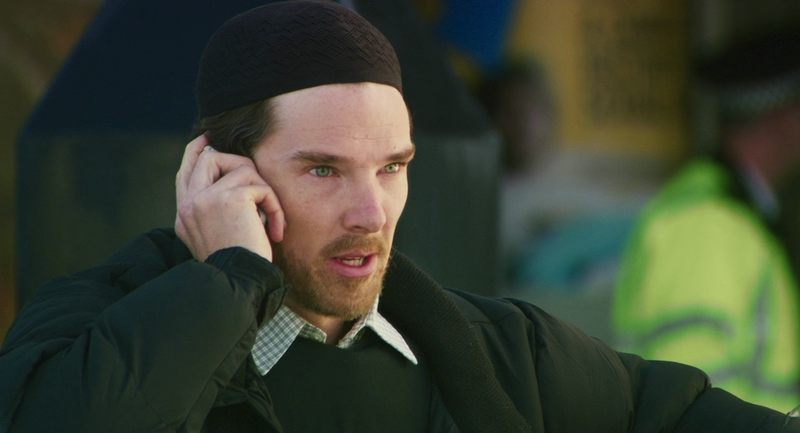 One of Benedict Cumberbatch’s earliest roles was, of course, as personal assistant Robin in Charlie Brooker & Chris Morris’ seminal Nathan Barley, and Morris later cast Cumberbatch as a hostage negotiator in his 2010 satirical comedy film Four Lions. 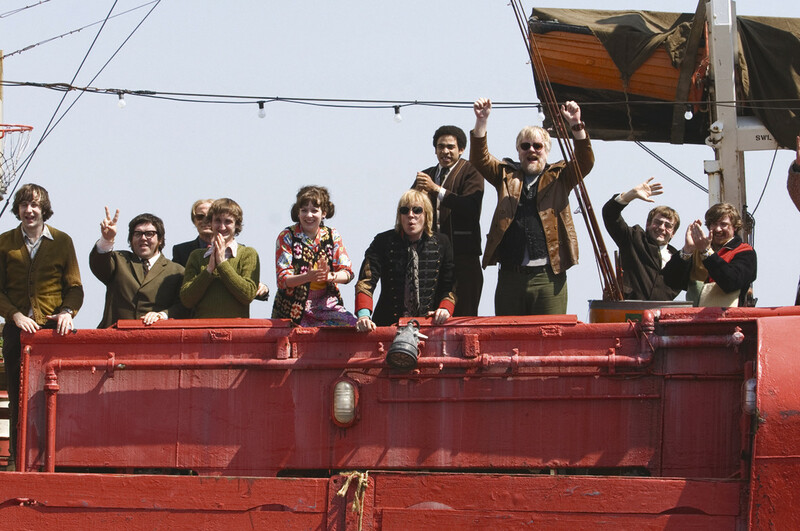 Even stronger connections lie with co-star Martin Freeman, who began his career primarily as a comedy actor. 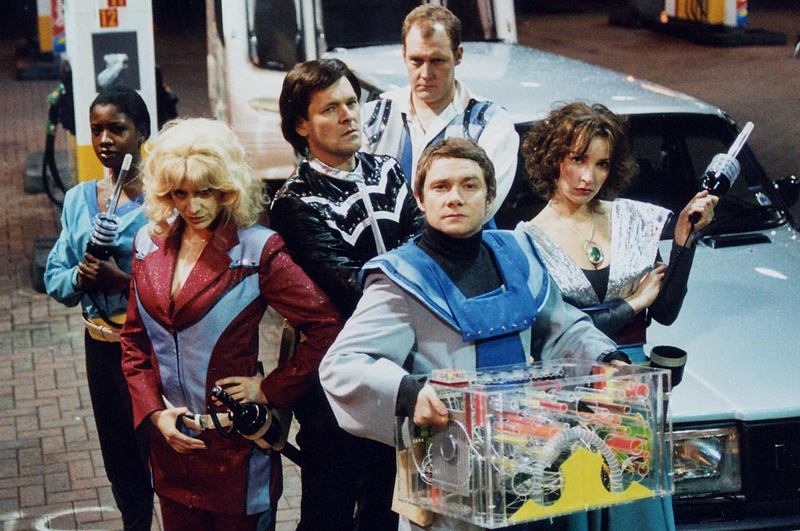 In 2000, he joined a pre-Darkplace Matthew Holness in short lived sketch series Bruiser alongside Olivia Colman, Charlotte Hudson, David Mitchell and Robert Webb. 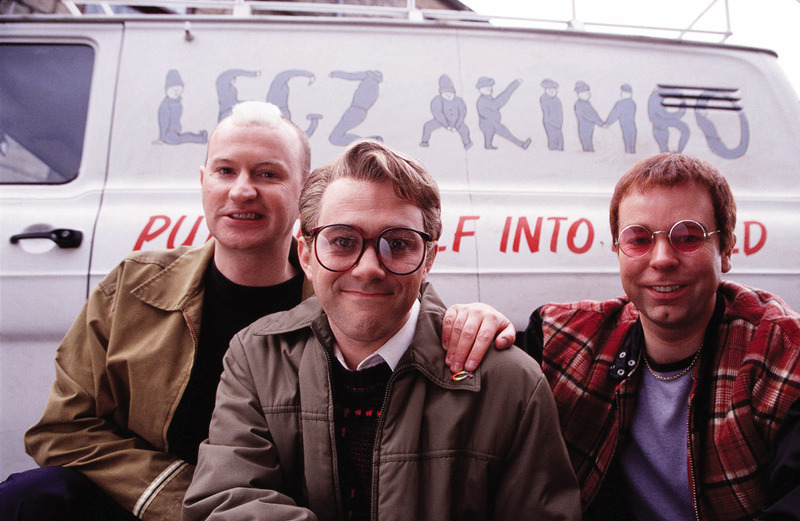 He would go on to appear in Black Books, World of Pub (with Geoff McGivern, Simon Greenall & Kevin Eldon amongst others), Ali G In Da House, Shaun of the Dead and one of our personal favourites, Blake’s Junction 7 alongside Justin Edwards, Stephen Evans and Simon Farnaby – but his star was truly sent into the stratosphere with his role as put-upon Tim in The Office. Freeman has occasionally popped back onto TVO’s radar in recent years with roles in The World’s End, 2013’s Svengali, the forthcoming film adaptation of Ghost Stories and HIV The Musical alongside Julian Barratt. Speaking of Barratt, Louise Brealey may be best known as morgue attendant Molly Hooper now, but she played Julian’s daughter in the 2011 stage production of The Government Inspector alongside Doon Makichan and Fergus Craig. And there are further connections to be found in the supporting cast too: let’s start with Una Stubbs (Mrs Hudson), who joined Katherine Parkinson and Colin Hoult in The Bleak Old Shop of Stuff, and in a slightly more obscure manner, joined Dave McNeill on the voice cast for kids tv series Mist: Sheepdog Tales (no, really). The deliciously evil Moriarty was (is?) played with sheer liquid gusto by Andrew Scott, who has since joined Jessica Hynes in 2016’s Swallows & Amazons, whilst Mrs Watson herself, Amanda Abbington, was a former regular on Man Stroke Woman alongside Nick Burns, and also cropped up in an edition of Shearsmith & Pemberton’s Psychoville back in 2009. Speaking of Shearsmith & Pemberton, of course the inimitable Mark Gatiss spends most of his time these days working on Sherlock and Doctor Who with regular collaborator Steven Moffat, but he’s always in our peripheral vision as a former member of The League of Gentlemen and a key part of their three tv series, radio run, live shows and 2005 movie. Gatiss, who has appeared in the likes of Game of Thrones, Being Human and Wolf Hall in recent years, still occasionally makes appearances in comedic roles – with a memorable turn in Psychobitches in 2012, and a voice cameo in Mid Morning Matters last year. Going further into the show’s supporting cast, Series 1-3’s antagonistic forensic analyst Anderson was played by Sightseers actor Jonathan Aris and Game of Thrones star Tom Brooke (who plays Sherlock’s homeless ‘helper’ Wiggins) will always be ‘Thick Kevin’ in our hearts! Also of note – former The Mighty Boosh actress Victoria Wicks was in the very first episode, A Study in Pink; Humans and Submarine star Gemma Chan cropped up in The Blind Banker; Will Sharpe – the writer, director and star of Flowers – was in The Hounds of Baskerville. And that’s surely just the tip of the iceberg – with Series Five confirmed, who knows what further Oniony surprises are in store? One thing IS for sure though – if you don’t already own them, you can pre-order the entire Series 1-4 boxset on blu-ray and dvd now. And if you have the previous episodes already, you can pick up Series 4 on its own on blu-ray and dvd for good measure. Get in.